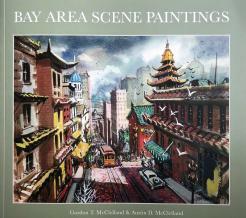 Bay Area Scene Paintings represents the Golden Era of Bay Area Scene Paintings. It was a time when the looks and feel of old San Francisco and the surrounding area was gradually being changed as redevelopment projects were implemented. A number of dedicated California artists produced works that visually captured the look and feel of the era before it was lost forever. This book highlights the first in a new series of art exhibitions produced for the Hilbert Museum. This book features a few key artists which have been selected to represent a much larger number of artists that produced this type of art during the 20th Century.